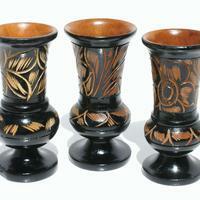 Black wooden vase with ethnic Haitian decor. Wooden flower vase of brown color. Wooden Gifts. 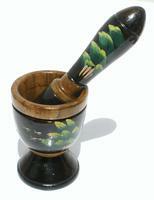 Haitian wooden vase with flower ornament. Carved wooden Haitian vase of big size. 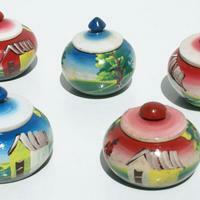 Wooden baskets with bright painting, size 8cm.